The Nerve 3420 is an everyday carry worthy knife with a slick RJ Martin design. 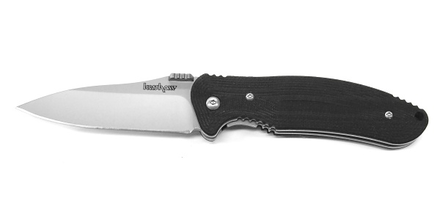 It features a bead blast finished 8Cr13MoV steel blade with a plain edge and an ambidextrous thumb stud. The machined G-10 handle has heavy jimping on the contours for a super-secure grip. The Nerve also has a reversible pocket clip for tip-up or down carry.